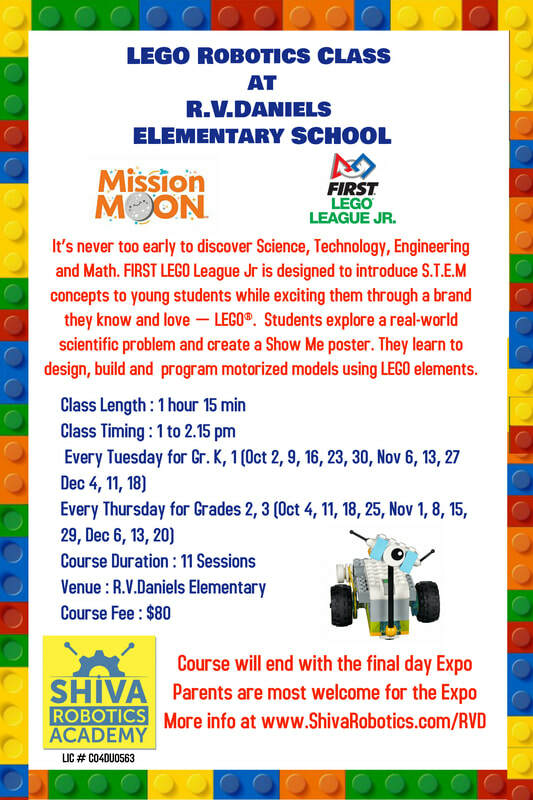 The program will be conducted at RV Daniels Elementary School during School Hours. Classes will happen during School hours. Students need not bring anything special; we provide all of the building materials and programming devices to work with. The fee is $80. 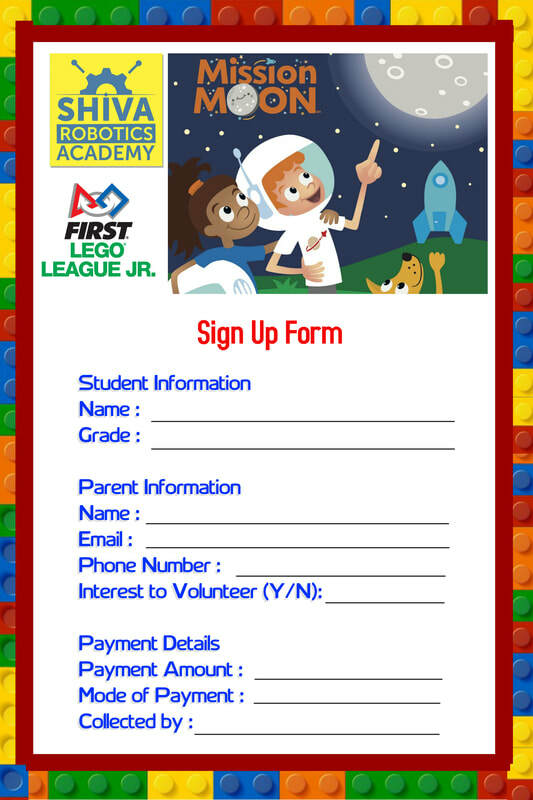 Payment can be made online, using the link below or please drop check payable to Shiva Robotics Academy at the school front office.